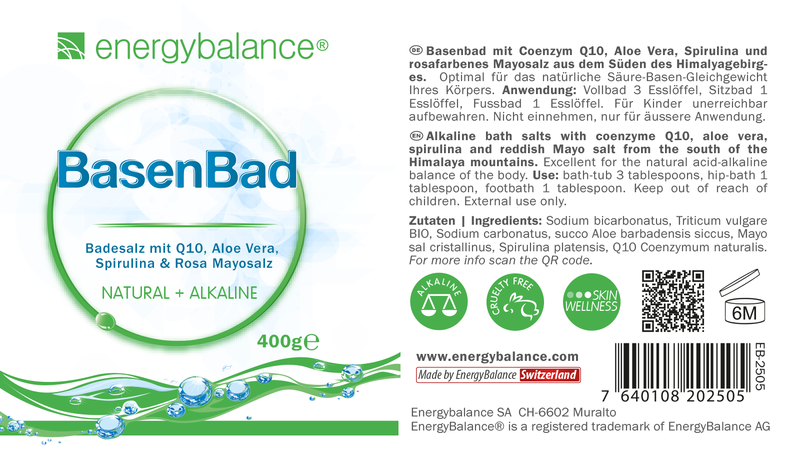 Alkaline bath salts to balance your acid-alkaline levels and for relaxing, soothing alkaline cleansing. Purifies and softens the skin, improves circulation and can reduce cellulite. Many foodstuffs are no longer produced naturally or have been manipulated. The old cycle of nature-farmer-market-consumer has become a rare occurrence. A so-called foodstuffs industry has developed with its own dynamics. Over the course of this development, no one was really interested in finding out how to produce a diet specifically suited to human needs. Instead, people focused on flavor, shelf life, transportability, efficient production, price and quantity. Quality was defined on the basis of these criteria. In their enthusiasm, people forgot that humans have been developing along with their food over the past 2 million years. Over the course of evolution, our digestive tract and other organs have adapted to the food naturally available to us and have developed alongside these foodstuffs. Major changes in diet, like those we are currently exposed to, create problems for our bodies. The human organism is a combination of chemical laboratory, computer, power plant, audio/video studio, etc., and spirit, making it incredibly complex and sensitive. Our bodies need a healthy balance between acidic and alkaline levels to survive. Acidic and alkaline levels influence and control a wide variety of our organism's functions. They also affect the flow of positively and negatively charged ions, otherwise known as electric currents, which for their part control important information and bodily processes. All processes are intertwined and interdependent and some have still not even been studied. What we do know is that our so-called normal, contemporary diet puts more acids into our bodies than our bodies are genetically able to compensate for. Many of these acids are produced when we are stressed or result from the metabolism of simple carbohydrates and proteins. Simple carbohydrates include white flour, white sugar and other refined products that have been stripped of their natural fiber, minerals, trace elements and vitamins. 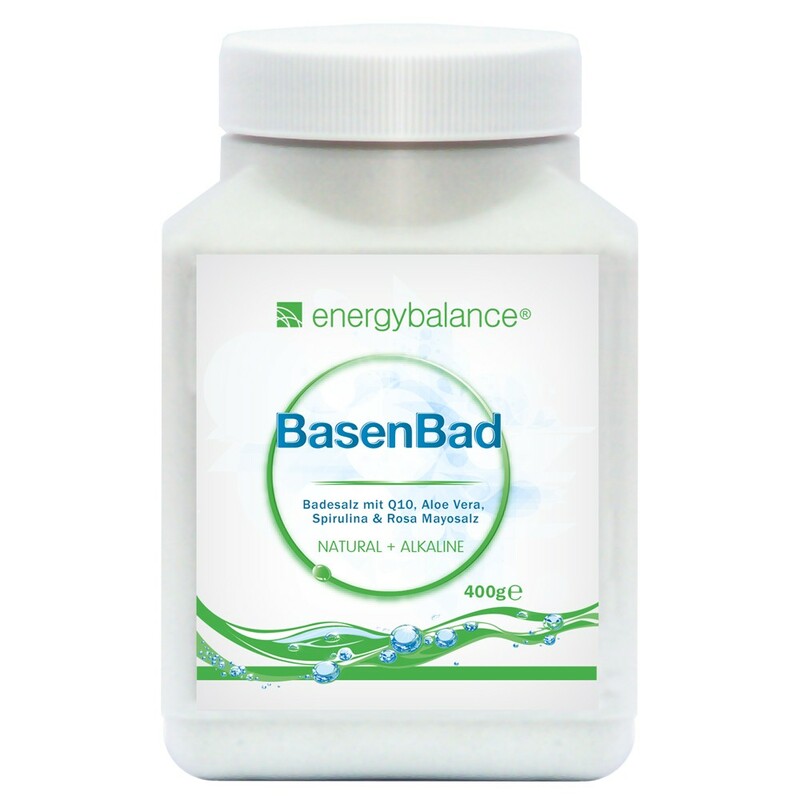 The lack of these nutrients and fiber often causes constipation and acid-forming fermentation. Food that undergoes refinement is also often stripped of important alkaline minerals such as calcium, magnesium, iron, zinc and manganese. Highly refined foodstuffs have actually been denatured and no longer constitute natural nutrition for our bodies. The short period of time that has passed since the start of the Industrial Age is not enough for our bodies to have adjusted to this modified diet. one full bath = 3 tablespoons, sitz bath = 1 Tbs., footbath = 1Tbs.